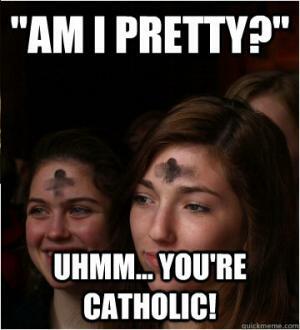 Ash Wednesday kicks off lent and like with new years resolutions it is a time for people to give up things that they love and make empty promises but this time in the name of religion. 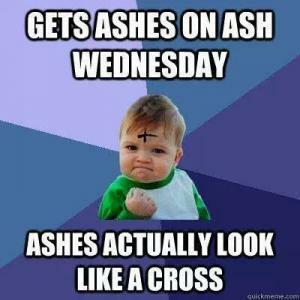 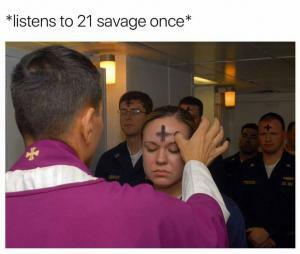 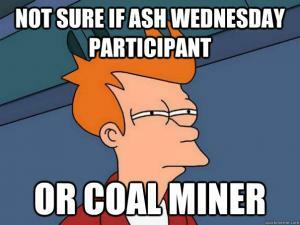 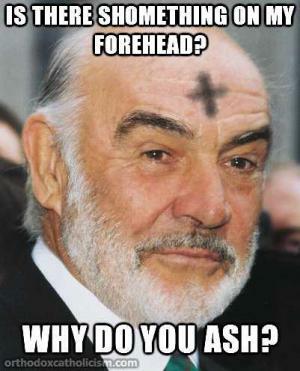 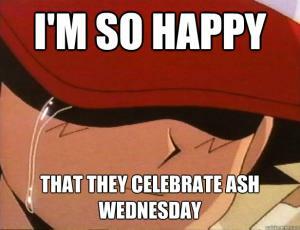 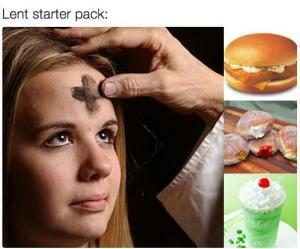 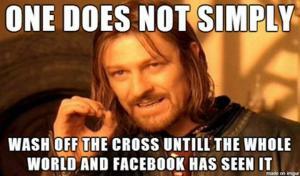 The images used on the ash wednesday meme on this page are the most viral pics on the web and are captioned with funny sayings and jokes about ash wednesday. 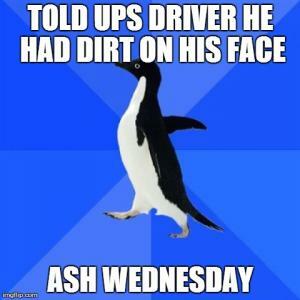 Memes with jokes about things like the different things that can be written in ash on your forehead and the hump day camel. 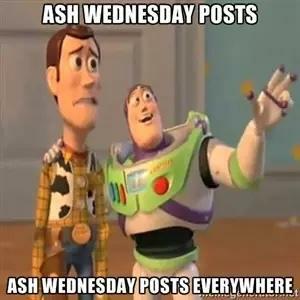 While you are here checking out the videos, articles, jokes and memes please actively participate by sharing your favorite content on social media and rate some of your favorite ones. 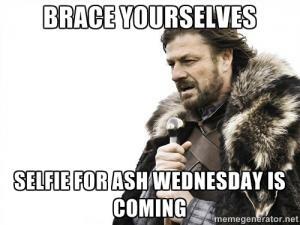 We are always updating the content on this page so be sure to stop back often. 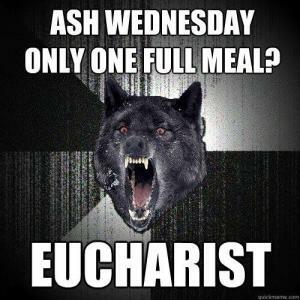 Ash Wednesday only one full meal?